Gosh! a few days of absentees, due to a hectic work life this first & second week of 2012. Anyway after had the time to wind down from all my hype and jive on work. I've stumbled on a really really fascinating website. 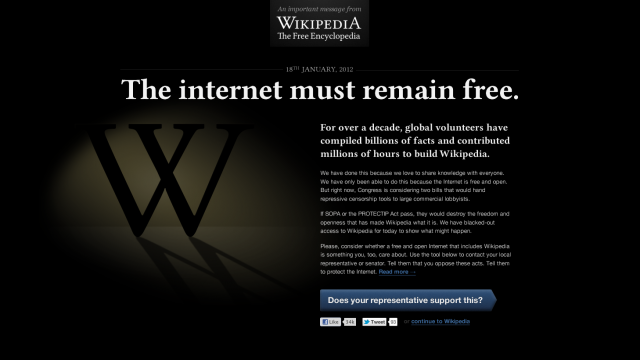 In the meantime, Wikipedia will go offline for 24 hours on the 18th of january 2012 in the protest and also raise public awareness of SOPA & PIPA bills. Underworld: Awakening of Girl Power! The Viral Factor makes bolehland proud!! HAPPY VERY LATE NEW YEAR..